You must make bookings at least 5 minutes in advance of the time at Alain Ducasse at The Dorchester. The three Michelin-starred restaurant Alain Ducasse at The Dorchester in Mayfair, traditionally the smartest address in town, represents a new approach to fine dining. Professionalism and attention to detail are always paramount, but there is a new aura of whimsy and pleasure as well. The restaurant’s spectacular, elegant interior - by design team Jouin Manku - and breath-taking dining experience has enchanted London’s gourmets and critics. 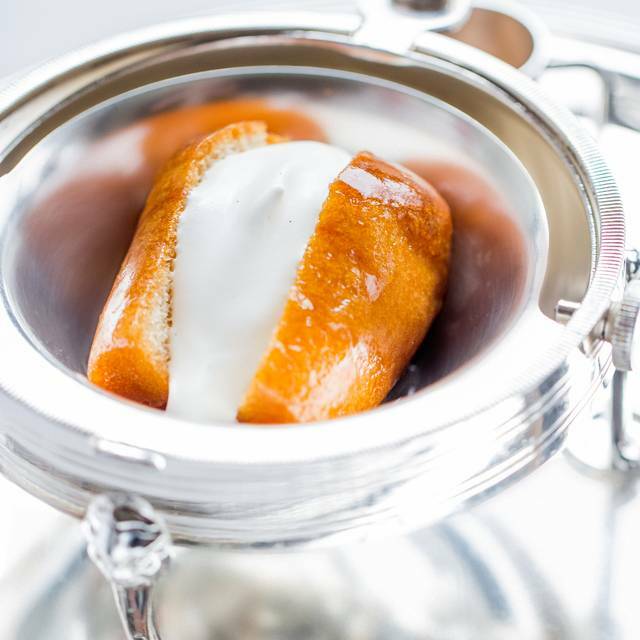 For most mortals, a meal at Alain Ducasse at The Dorchester is dining for special celebrations, and the sublime quality of the food and the easy pomp of the service live up to expectations. But an ideal and affordable way to sample the contemporary French cuisine is the set lunch menu, highlighting the very highest quality seasonal ingredients. Favourite dishes include ‘Sauté gourmand’ of LOBSTER, truffled quenelles and homemade pasta or Dry aged BEEF, artichoke and bone marrow. Fantastic food, wine and service. Lots of staff but no one gave much attention until after the bill was settled. Celebrated our anniversary there and it was lovely. We went with the full tasting menu during lunch time. Staff were attentive and made us feel very comfortable. Food was outstanding and we especially loved the attention to detail at this restaurant. Thank you for this memorable experience and we are looking forward to coming back! They wouldn’t let us in because I was wearing ‘sports shoes’, while they were going through this process a guy left the restaurant wearing trainers, when I raised this, he lied and said that the man was wearing ‘velvet shoes’?!? Having made this decision they then failed to cancel the reservation despite repeated requests making it impossible to add a new booking on OpenTable at an alternative restaurant. Wonderful restaurant - still retained its charming ambience. Not up to the three Michelin it claims. Service and food wise. Environment and ambience beautiful. Service was attentive and good but at times slow. Wine list was very good. Food was good but not fantastic. Not a single dish wows. Disappointing considering it’s reputation. Not deserving of 3 stars. There are many other 1 and 2 stars restaurant which are better. What an amazing food experience!!! Everything was great, fantastic location, the food was just out of the world and the service was even better !!! We will be back very soon and we highly recommended this place to everybody !! Superb food, friendly, efficient service, tragic choice of music. We had the 3-course lunch menu with two glasses of wine each (at 70 pounds each) for the weekday menu which is excellent value for quality of food and service with amuse-bouches and other inter-course delicasies, it is no surprise it holds 3 Michelin stars! The service was impeccable and the food superb; though we had the value lunch, many were clearly enjoying the premium offers; the foodie servers were professional, engaging and genuinely interested in our enjoyment and comments. We will return! Booked in for my husbands birthday and had the lunch time menu. Initially we thought we would not be 'satisfied' with the 3 courses (if they were going to be little plates). But, we were pleasantly surprised with the 'extras' that come along with the meal. Wait staff were very attentive, and the ambience was relaxed, despite the restaurant being quite full, the noise levels were just right. Would recommend for any special occasion. Perfect in every way! A meal from Mr Ducasse and his team delivers an unforgettable experience. I find myself coming back here time and time again. Always maintain high standards well done. A compliment to all staff. Wonderful experience and food. Kids loved it and service was top notch. Recommend for everyone! menu and the four course options and it did not disappoint. Highly recommend for those seeking discerning quality in fine French food. Great food at acceptable price. Still the best in town. Very good, but too much selling optional extras (eg. Cheese, Port and Champagne) which was not included in the menu. This can be slightly awkward for both parties when it's a business lunch. Please include all the extras in the set menu. prepared and delicious. The staff is charming, attentive and unobtrusive. poor service to be honest， I have my master card but the machine did not go through. the manager told me to walk up to a petrol station to get cash from a cash machine. while the cash machine got trouble too. finally they got the credit card machine from the hotel to solve the problem. i guess they could have done it in the first place to save me from walking 10mins in the freezing. Brilliant seasonal lunch menu with 3 delicious courses. Service was excellent throughout and staff very attentive although we did feel rushed between each course despite the restaurant, at times, not being particularly busy. 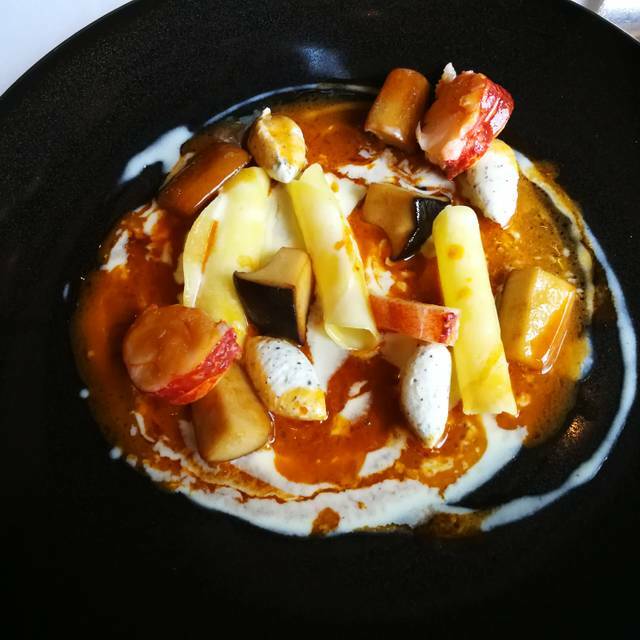 My recent lunch experience @ Alain Ducasse at the Dorchester was wonderful again. The lunch menue is recommended though the other menues available are also delicious. The service is excellent and you'll look forward to your next visit. Food was very good. The service was good but at a restaurant of this level it should be better.